Located close to the Fuzhou Strait International Congress and Exhibition Centre, this 4-star hotel offers accommodation with complete facilities and quality services. The guest rooms feature a telephone, a safe, high-speed wired internet, a writing desk, soundproofing system, a coffee maker, HDTV with satellite channels, an ensuite bathroom with deep soaking bathtub, a hydromassage shower and a hairdryer. This hotel has 396 rooms. 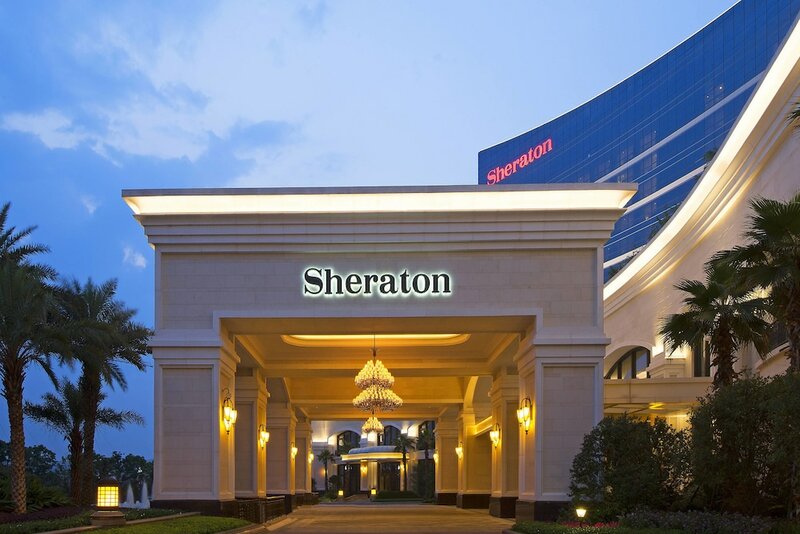 Sheraton Fuzhou Hotel has facilities including a cafeteria area, 3 restaurants and wellness areas with a Jacuzzi. In addition, Sheraton Fuzhou Hotel has an indoor swimming pool, a seasonal outdoor pool, an ATM and a medical centre. If you travel for work purposes, this hotel has a business corner, 11 meeting rooms and conference rooms. This establishment offers its guests tourist information, reception with a safe, porterage, free daily newspapers, multilingual staff, wedding reception staff, concierge, luggage storage, free internet and laundry.